Great stress is laid on students personality development. For this reason besides the Indoor Games and Gymnasium facilities, large playing and recreational complex is being developed. 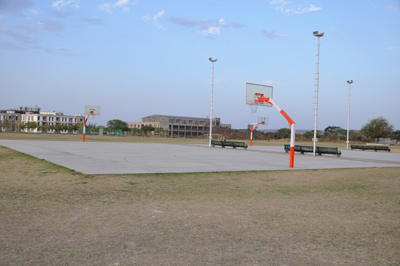 Already Basket Ball, Cricket, Volley Ball, Tennis, Football and Badminton facilities are functional. A stadium, Swimming Pool and Open Air Theatre are planned. The recreational facilities when complete will compare with the best facilities in any technical education. All the games and related activities are being supervised by a full time sports instructor.